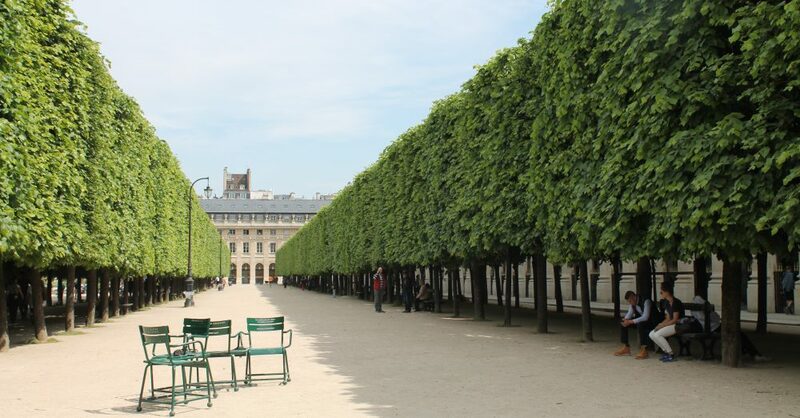 Throughout the month of May we have four public holidays in France: May1st (Labor Day), May 8th (1945 Victory Day), May 10th (Day of Ascension) and May 21st (Pentecost). And every May the French combine those paid holidays with vacation days and take off in droves. Some of the destinations my work colleagues are heading to are Marrakech, Jakarta, Brittany, the Basque region, London and Copenhagen. 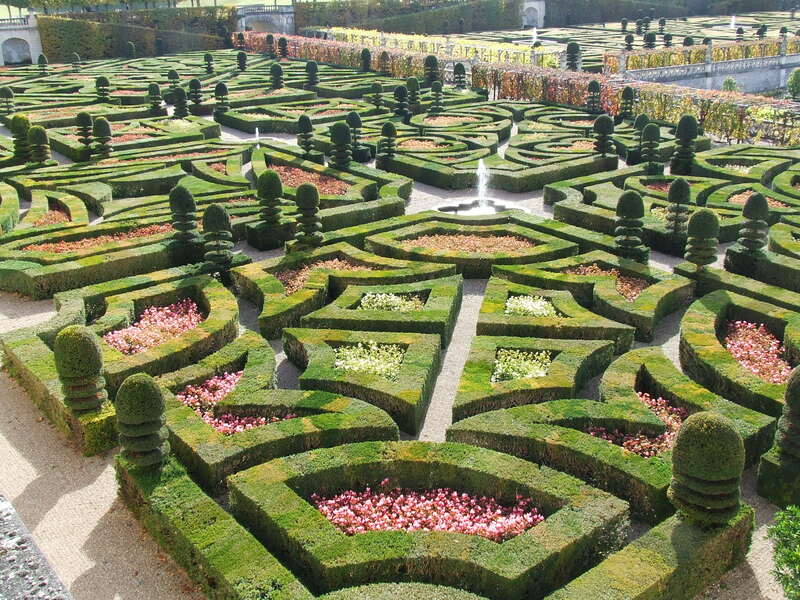 If I wasn’t already booked for Lille on May 19th and Portugal in early June, I’d return to the Loire Valley because the magnificent formal gardens at the Château de Villandry are a must-see, again and again. 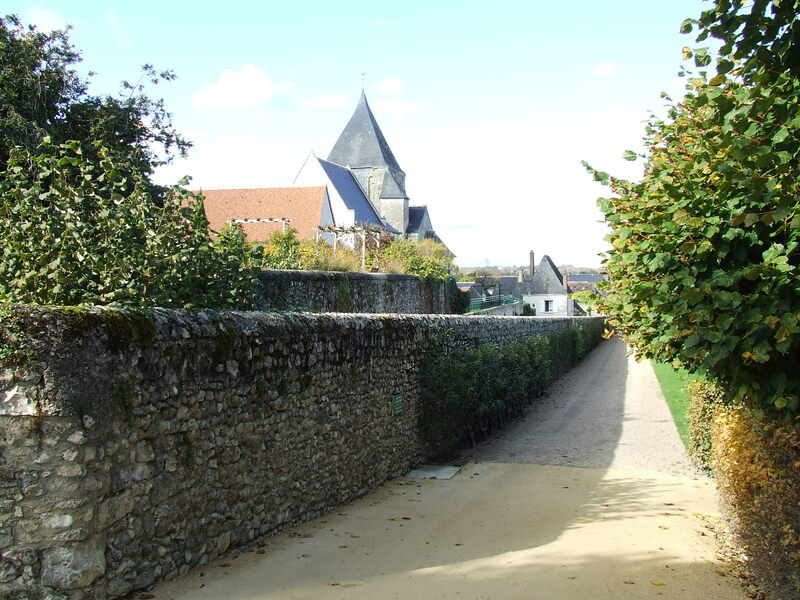 A few years ago I spent a long and lovely weekend in the Loire Valley, home of chateaux, vineyards and fruit orchards. From Paris I took the train to Amboise where my friend Andrew, an Englishman who lives in the region, met me. Amboise is a pretty riverside town with its own chateau. 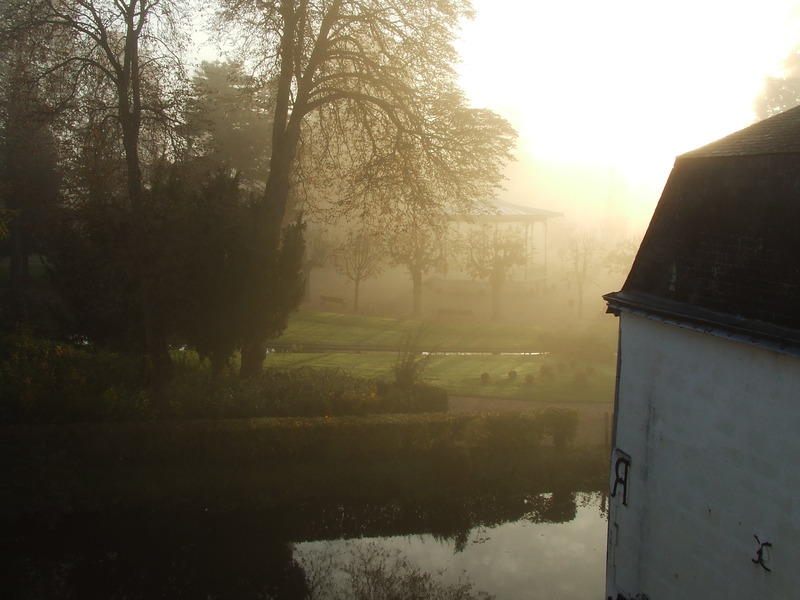 Here’s how UNESCO describes the Loire region: “an exceptional cultural landscape, of great beauty, comprised of historic cities, villages and great architectural monuments.” And it’s true. There’s a softness in the landscape: the rolling of its gentle hills, the meandering of its rivers and the richness of its fertile soil that all converges into one glorious package that’s called the garden of France. And home of Kings since the 10th century. 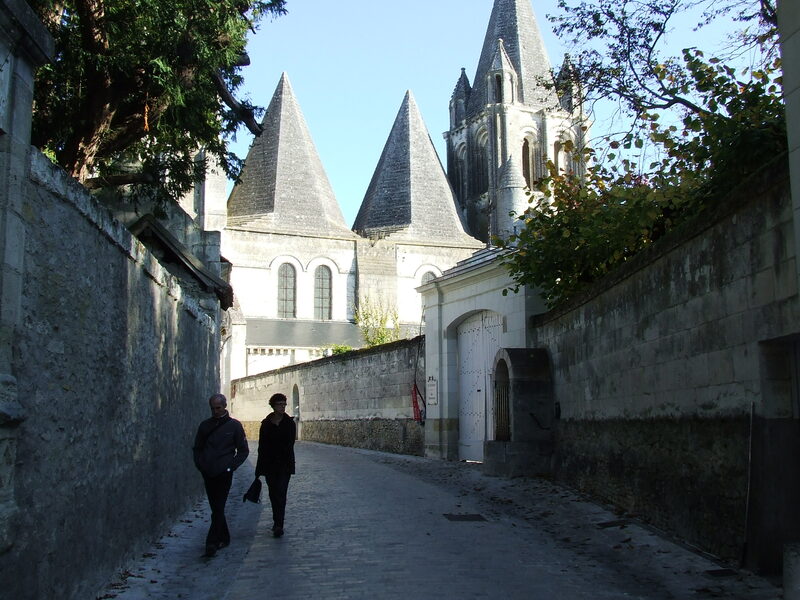 From Amboise we drove to the nearby village of Loches where Andrew knew the owners of a bed and breakfast establishment. It was an excellent recommendation. “Did I sleep well?” I replied, “I think I died and went to heaven!” A generous continental breakfast was laid out on the table: yoghurts and jams home-made by Moha; croissants, breads and lots of good coffee. We were only three guests that weekend, so Jean-Claude and Moha (and their little black dog) joined us at the large table. We engaged in lively conversation. 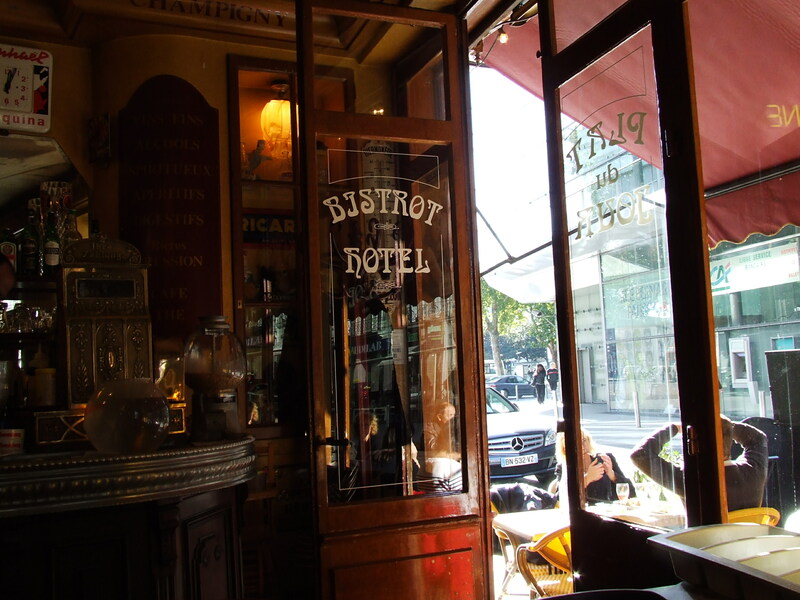 It’s rare that innkeepers in France sit down and join their guests at table, so I appreciated their warmth and company. As you probably already know, the Loire Valley is known for several gorgeous wine regions: Muscadet, Sancerre, Vouvray and Pouilly-Fumé to name a few. Loire wines tend to have a characteristic fruitiness with fresh, crisp flavours. My favourite red wine from the Loire is Chinon, so Andrew drove me to the town of Chinon, an unassuming place located on the banks of the Vienne river. What a treat! I was determined to unearth some exceptional (but reasonably-priced) bottles of wine to take back to Paris with me. In the center of town we found a caviste, an independant wine merchant, with a tasting room. 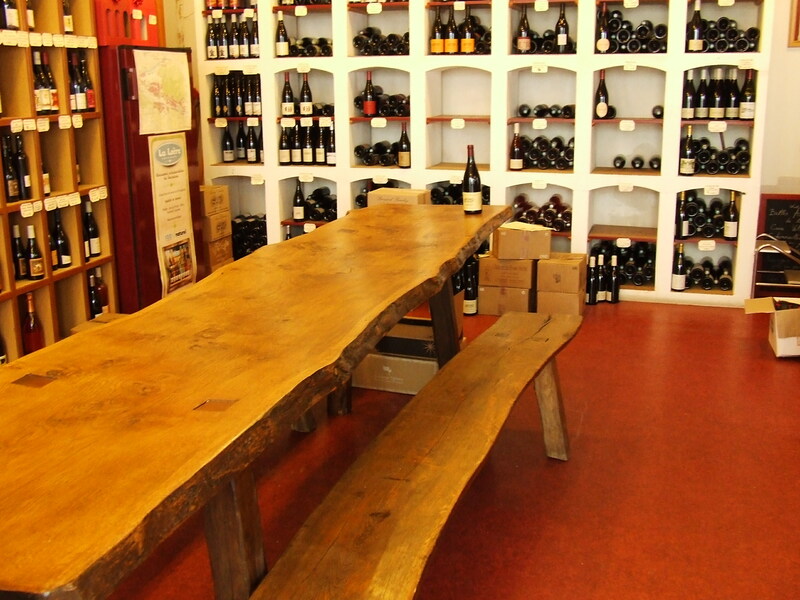 Sitting at a long, hand-hewed wooden table, we proceeded to sample glass after glass of Cabernet Franc, a black grape variety for which Chinon wines are known. Because there are so many chateaux in this region, it’s a good idea to do your research before going so as to not waste time wondering which one to visit. 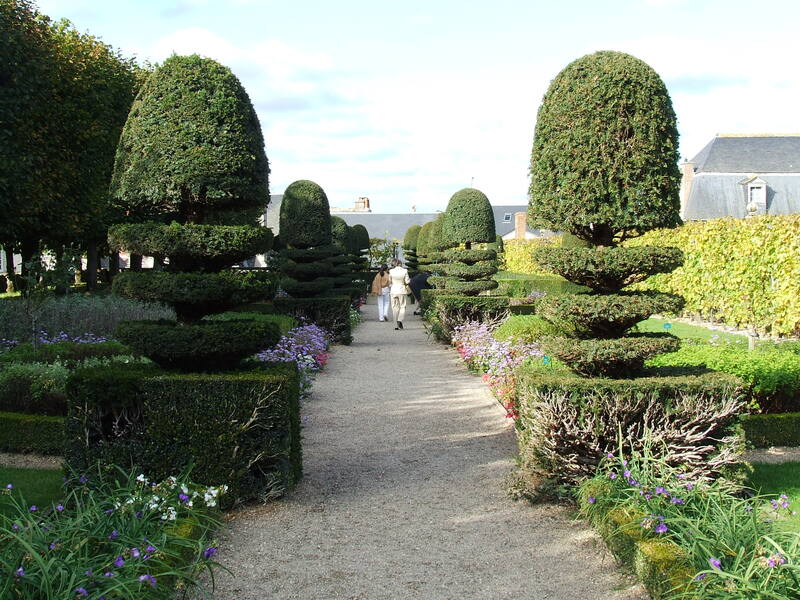 The weather being beautiful, we wanted to stay outdoors so decided on the Château de Villandry, famous for its gardens that comprise an ornamental garden, a water garden, a medieval herb garden, a vegetable garden and a maze. For two hours we wandered in the sunshine, marvelling at the landscape design and the history of the place. We’re talking 16th-century and this is what I love about France (and Europe in general): the commingling of past and present, modern and ancient. 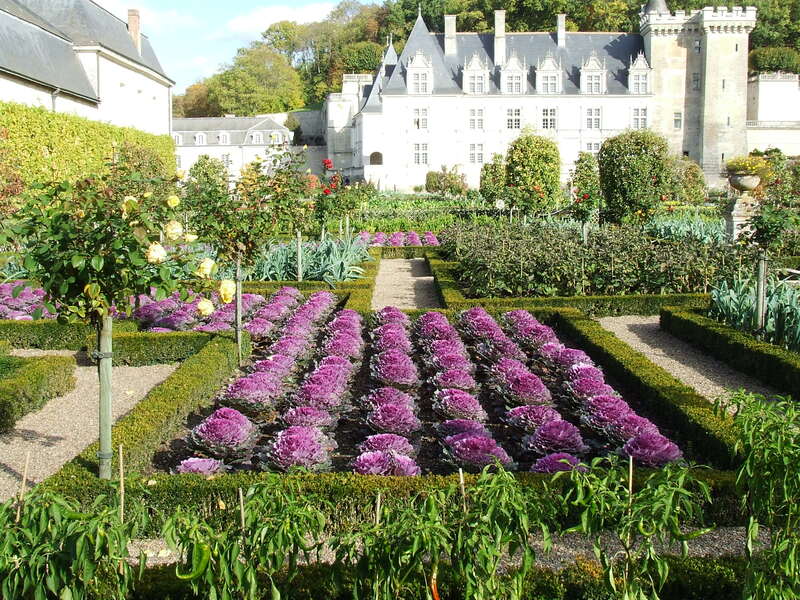 Here’s what the brochure blurb says – The Chateau of Villandry is the last of the great chateaux built during the Renaissance in the Loire Valley. 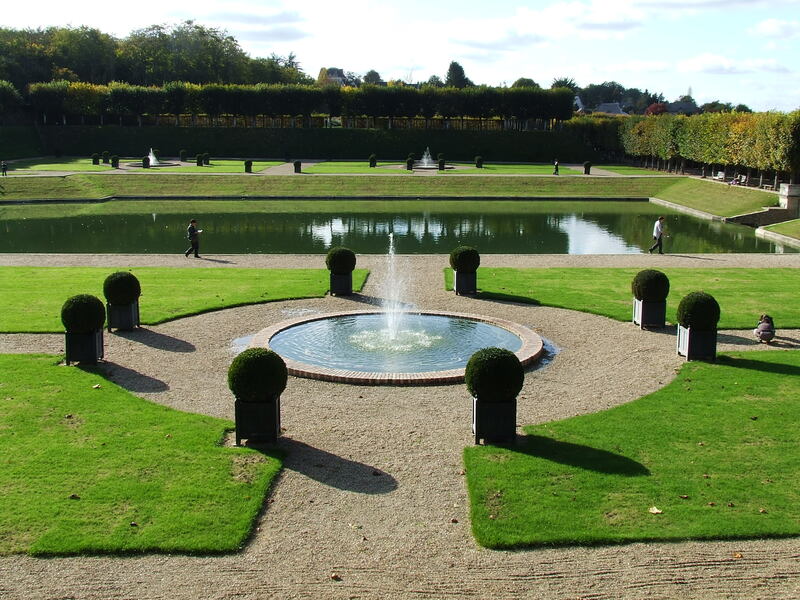 The sober elegance of its architecture combined with the charm of its outstanding gardens illustrate the ideals of the Renaissance and the Age of the Enlightenment on western European thought and design. 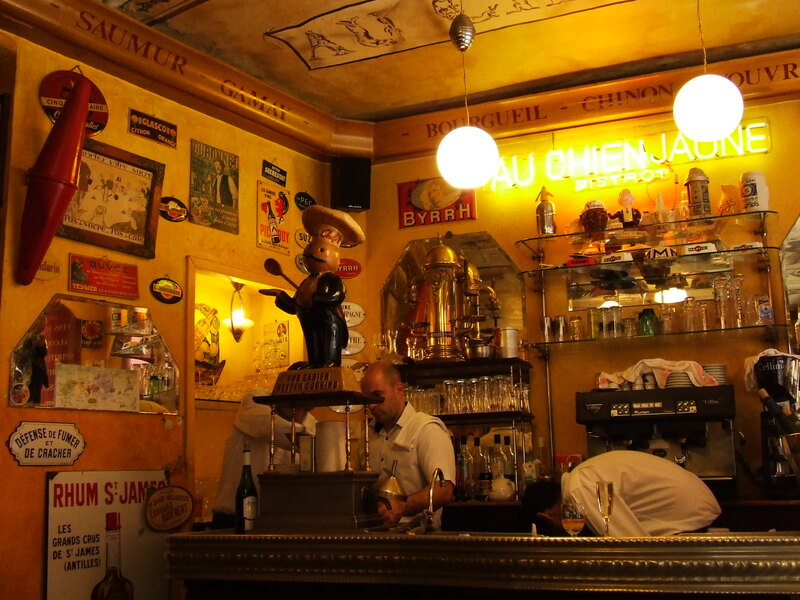 The next day we drove to Tours to lunch in a lively bistro named Le Chien Jaune (The Yellow Dog.) The food was decent, but nothing to rave about. This place is more for atmosphere and good wine. Tours, the principal city of the Loire Valley, makes a good base from which to visit the surrounding chateaux and vineyards. From Paris Montparnasse train station, the Loire region can be reached in only one hour and 12 minutes on the TGV fast train. All in all, a terrific weekend. I’m eager to return but, comme toujours, other regions and other countries beckon. 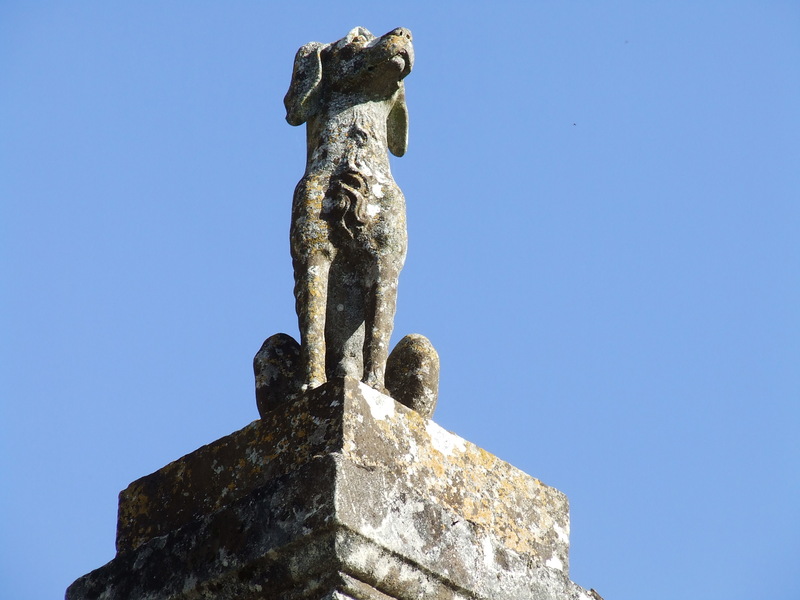 This entry was posted in FRANCE, General and tagged Amboise, bed and breakfast, chateau de Villandry, chateaux, Chinon, Le Chien Jaune, Le Logis du Bief, Loches, Loire, Loire Valley, Tours by julesparis2013. Bookmark the permalink.